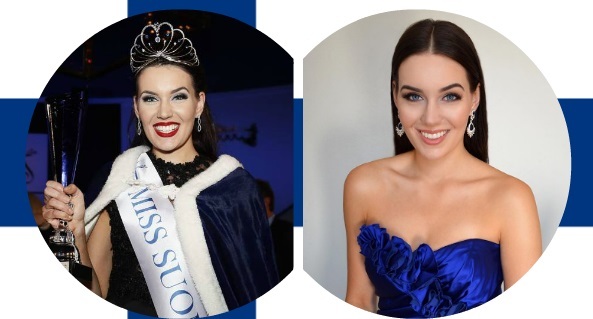 25-year-old Michaela Söderholm from Helsinki was crowned Miss Suomi 2017 (Miss Finland 2017) on October 1 at the Hotel Kalastajatorppa in Helsinki. Michaela, the oldest candidate, bested 10 other beauties including her court Adriana Gerxhalija and Pihla Koivuniemiand who were first and second runners-up respectively. She will now represent her country at the Miss Universe 2017 pageant on November 26 in Las Vegas, Nevada. Finland has two Miss Universe winners through Armi Helena Kuusela in 1952 and Anne Pohtamo in 1975.